The men’s Anticipate Jacket features a space-dye knit for a touch of bold style. 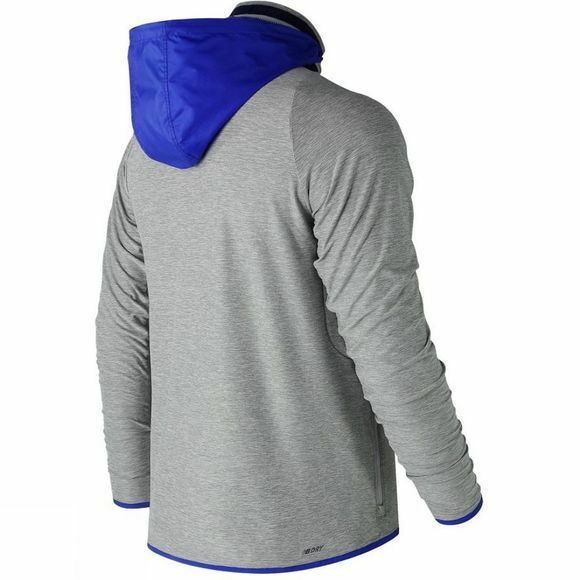 The Adaptive knit fabric lets you reach further by stretching with less resistance, while a wind-resistant woven overlay adds an extra layer of protection. A packable hood tucks neatly into the collar when you don’t need the added safeguarding. 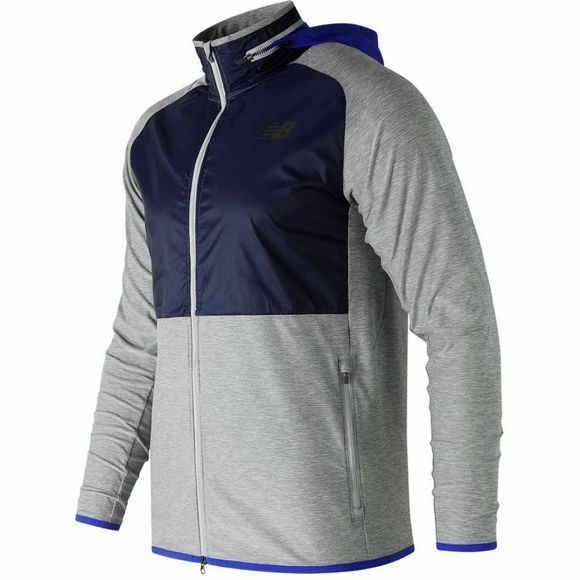 Meanwhile, NB Dry technology wicks sweat away quickly, making this a perfect second layer for an outdoor run, match, or commute home from the gym.